Inking Idaho: Platinum 6 Die Cutting Machine Now in Pre-order! I am so excited to share with you the newest member in the FSJ machine family - the baby of the bunch - the Platinum 6! The Platinum 6 has all the power of our big 8" Platinum Machine but in a mini version. It includes all steel interworkings and a 6" wide platform. My favorite feature - the sides fold up so it is very compact!! 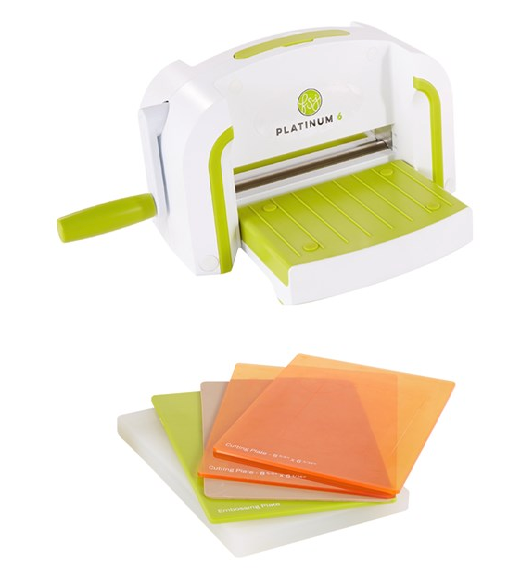 If you have or have used the 8" wide Platinum machine, you know how much you will love this one. Christmas is coming and everyone needs a baby Platinum! Platinum 6 is on pre-order NOW! Cuts and embosses anything 6" wide or less! The platform folds up for easy storage to take on the go. When you purchase the Platinum 6 it will include the machine plus plates (1 platform, 1 rubber mat, 1 embossing plate and 2 cutting plates). All of that only weighs 8 lbs. 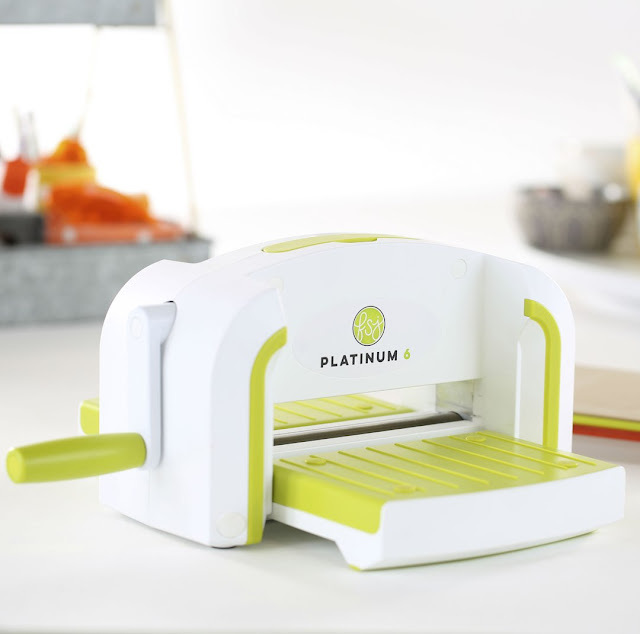 Use it on the go or use it at home, you'll be creating all of your favorite types of projects using the Fun Stampers Journey Platinum 6. This is a manual die cutting machine, not an electric one. 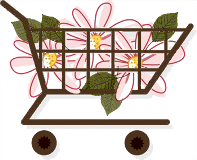 Pre-order yours today for August delivery!